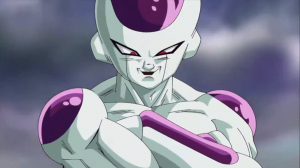 K and K productions who brought us the Saiyan Saga trailer are back with an even more ambitious project based on the Frieza Saga. The Saiyan Saga had a lot of mixed opinions by DBZ fans as the finished product was way too short. After months of teasing fans with an awesome cast and some well thought out special effects the teaser trailer left some fans disappointed. Overall I think it was a good effort, they didn’t have a lot of money to spend on the project and were always at risk of Fox closing down the project. The next project based on the Frieza Saga which I think most DBZ fans will rank the best due to the fact its the first time Goku goes Super Saiyan and it had an awesome spectrum of aliens. There is also Freiza and for this fan made movie K and K productions have cast three people to bring the psychical representation to life. The next in line would probably be the Android Saga but I think Robot Under Dog might be working on a take on this saga too as they have cast an amazing live action Android 18 for their fan made movie.